Single-lever Kitchen Sink Cold Tap Color: Chrome ..
Single-lever Basin Mixer Color: Matte Black *Also available in chrome (Aalto 1095) ..
Single-lever Basin Mixer Color: White+Chrome *Also available in chrome (Aalto 1098) .. Tall Basin Mixer Color: Matte Black *Also available in chrome ..
Single-lever Tall Basin Mixer Color: White + Chrome *Also available in chrome (Aalto 1298) .. Tall Basin Mixer Color: Chrome *Also available in matte black (Aalto 1301B) and rose gold (Aalto 1301RG) .. Tall Basin Mixer Color: Matte Black *Also available in chrome (Aalto 1301) and rose gold (Aalto 1301RG) .. 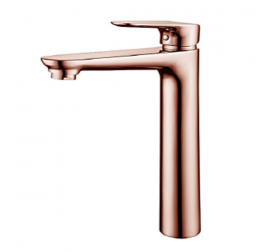 Tall Basin Mixer Color: Rose Gold *Also available in chrome (Aalto 1301) and matte black (Aalto 1301B) ..
Basin Mixer Color: Chrome *Also available in matte black (Aalto 1302B) and rose gold (Aalto 1302RG) ..
Short Basin Mixer Color: Matte Black *Also available in chrome (Aalto 1302) and rose gold (Aalto 1302RG) ..
Basin Mixer Color: Rose Gold *Also available in chrome (Aalto 1302) and matte black (Aalto 1302B) ..
Single-lever Sink Mixer Color: Chrome *Also available in matte black (Aalto 1303B) and rose gold (Aalto 1303RG) ..